Do you like car racing? Do you like BIG trucks? Then I’ve got an event that might interest you! 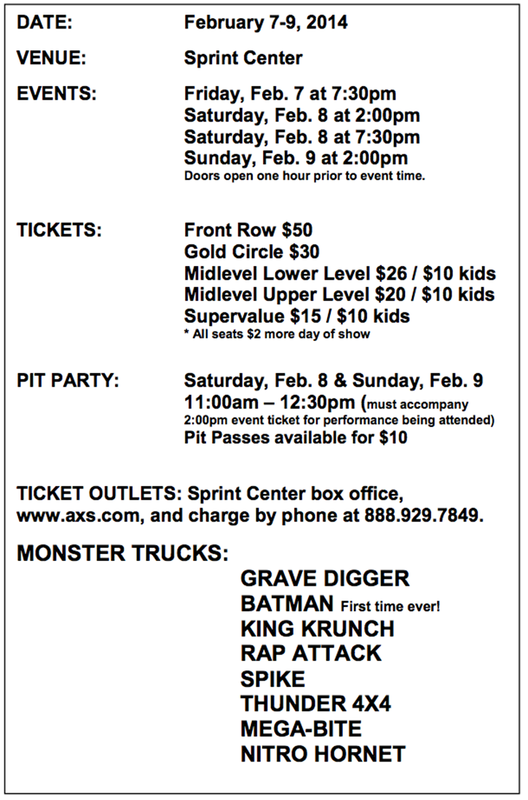 What is a Monster Jam? 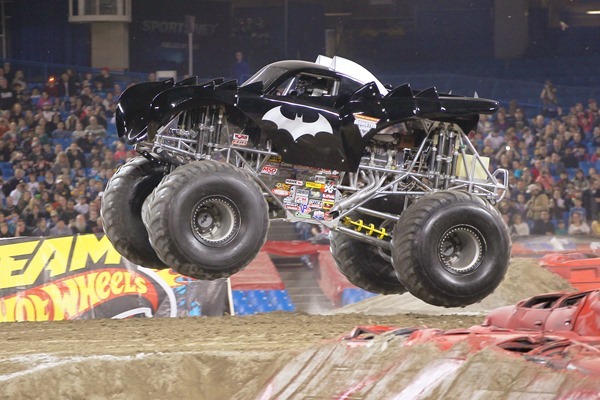 At most Monster Jam® events, Monster Jam trucks face off in at least two different forms of competition – racing and freestyle. Racing is traditional bracket racing, where the first truck to cross the finish line with the least number of penalties is the winner. The freestyle competition allows the trucks time on an open floor to show off their skills as they finesse the huge machines in a jaw dropping display of punishing stunts and amazing tricks. Got your interest now? Then join us at the Kansas City, Missouri event scheduled for February 7 – 9, 2014 at the Sprint Center!